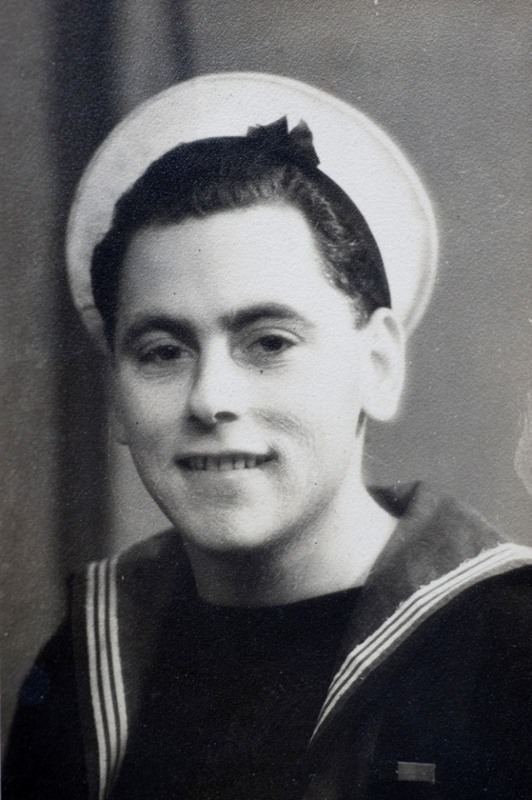 In November 1942 and only 18 years of age, Caradog Jones was called up by the Royal Navy as an Able Seaman. As we commemorated the end of the Second World War with Victory over Japan Day (VJ Day) this week (August 15), a veteran from Anglesey recalled the role he played in the Battle of the Pacific, known as the ‘Typhoon of Steel’, and how he survived desperate Kamikaze suicide attacks and cheated death in major naval battles stretching from the Mediterranean to the Pacific. 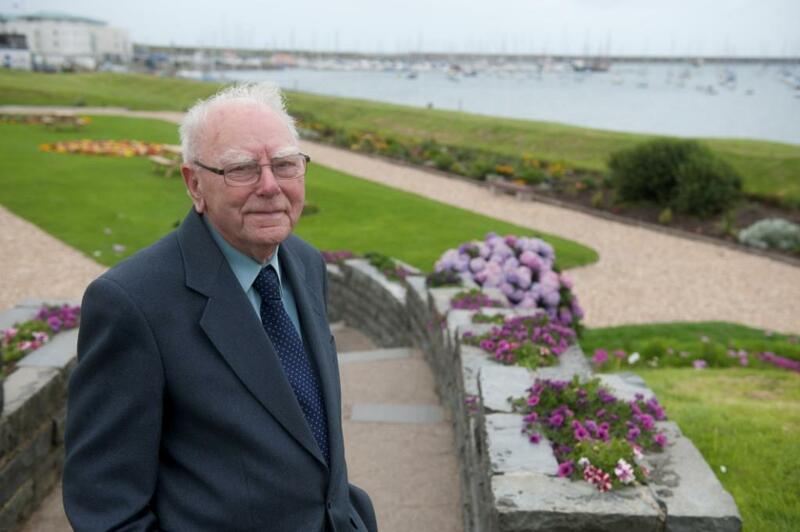 Thanks to a grant from the Heroes Return 2 programme, 88 year old Caradog Jones from Holyhead, Anglesey, will be returning to Australia this year to recall where his War ended 67 years ago and to pay his respects to those who lost their lives in the bitter and bloody conflict between 1939 and 1945. In November 1942 and only 18 years of age, Caradog Jones was called up by the Royal Navy as an Able Seaman. He joined the Torpedo Branch and was responsible for firing torpedoes from Destroyers on enemy ships and dropping depth charges to sink incoming enemy submarines. His War ended with the eventual surrender of the Japanese when the Americans dropped Atom Bombs on both Hiroshima and Nagasaki. “I went to war completely innocent, not knowing what to expect,” explains Caradog. After successfully completing his training in Plymouth, in 1943 Caradog was acquainted for the first time with his ship, HMS Queenborough in Gourock, Scotland. The Queenborough was dubbed ‘The Lucky Ship’ after the War in reference to all the near deadly scrapes she and the crew emerged out of unscathed despite fighting in some of the deadliest theatres of war around the world. After a few days out on drills in the waters around Scapa Flow, Scotland, the Queenborough set sail for Gibraltar and the Mediterranean to prepare for her role in the invasion of Sicily. 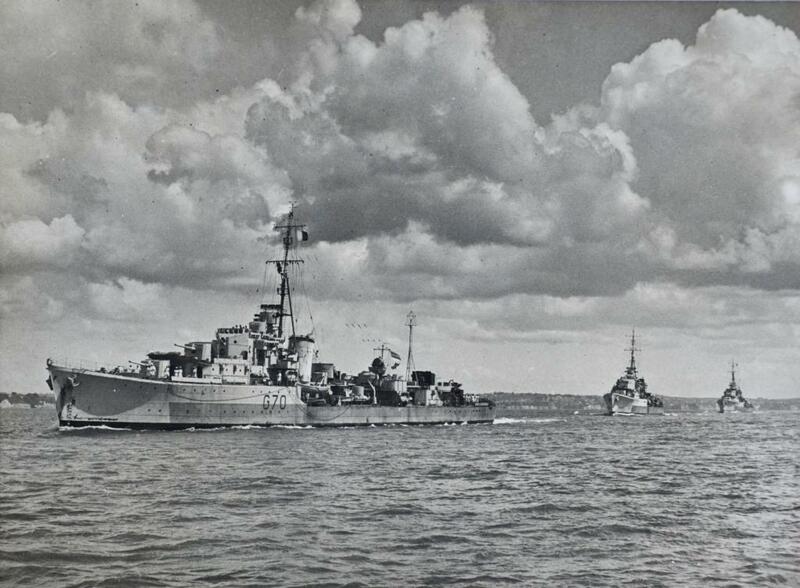 Success at Sicily led to the invasion of mainland Italy during September 1943 and the Queenborough again had a major role to play in shelling positions and protecting other warships. After departing the Mediterranean and attacking Japanese positions along the Indian Ocean and the West Coast of Malaya, at the end of 1944, the Queenborough was deployed to the Pacific Ocean to support in the war against Japan. This is where Caradog and the Queenborough took part in the Battle of Okinawa, the largest amphibious assault in the Pacific War on the island of Okinawa off the south coast of Japan. The battle lasted from early April until mid-June, 1945. The battle has been referred to as the ‘Typhoon of Steel’ in reference to the ferocity of the fighting, the intensity of Kamikaze attacks from the Japanese defenders and the sheer numbers of Allied ships and armoured vehicles that assaulted the island. This is where Caradog witnessed firsthand the carnage inflicted by Kamikaze suicide attacks on Allied warships. Thousands of Navy personnel died and at least 47 vessels were sunk by Kamikaze attacks, with about 300 damaged. “The Japanese were trying their best to stop us and they threw everything at us,” recalls Caradog. On one occasion whilst escorting four aircraft carriers (HMS Victorious, Illustrious, Indomitable and Indefatigable), they were attacked by Japanese Kamikaze suicide planes. “We knew they were coming and we all went to our action stations and braced ourselves,” says Carardog. The war culminated in the atomic bombings of Hiroshima and Nagasaki, resulting in the surrender of Japan and the end of fighting on the 15th of August, 1945. Carardog vividly remembers being told by the ship’s Captain of the plans to use atomic bombs against Japan. While the role of the bombings in Japan’s surrender and their ethical justification are still debated today, Caradog has no doubt in his mind that it was the right thing to do. “We suffered heavy losses in Okinawa and that’s why they decided to drop the ‘Atom Bomb’ on Japan as they didn’t want a repeat of what happened there,” he says. The Queenborough had the honour of escorting an aircraft carrier full of released Australian POW’s back to Sydney harbour at the end of the War. “We had a huge welcome as they were expecting us in,” says Caradog. “The Sydney Harbour Bridge was black with people. It was a huge celebration. The POW’s were malnourished and some of them couldn’t walk. The Queenborough was handed over to the Royal Australian Navy on loan after the conflict and Caradog returned back to the UK on another ship, HMS Norman, before arriving home in Anglesey a week before Christmas Day, 1945. “I hadn’t been home for two and a half years and I got home a week before Christmas,” he says. Sixty seven years after he sailed into Sydney Harbour a hero with a precious cargo of freed Australian POW’s ready to be reunited with their families and loved ones, Caradog will be returning down under for three weeks in November to pay his respects to fallen comrades and retrace his steps. During his visit, he will be taking part in Australian Remembrance Day in Canberra on November 11 along with his daughter, Gwenda.